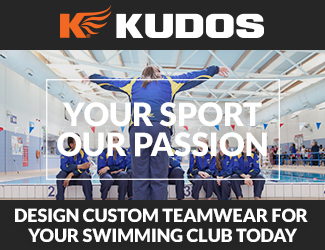 Are you a club level swimmer aged between 12 and 16 years old? If so, this fantastic opportunity for young swimming prospects ought to interest you. You have a chance to be among the first members of the new James Guy Academy – and have an Olympic, Commonwealth, World and European medallist as your mentor. James has represented Great Britain in the Olympic Games, the World Championships and the European championships, and England in the Commonwealth Games. Guy specialises in the 200 and 400 metre freestyle, as well as the 100 metre butterfly. He won two World Championship gold medals in the 200m freestyle and 4×200m freestyle relay event at the 2015 World Aquatics Championships. In 2016, he won silver in the 4x200m freestyle relay and the 4x100m medley relay at the Rio Olympics in 2016, and he collected yet more medals at this year’s Commonwealth Games in Australia. Successful applicants will receive £200 towards training, accommodation and travel costs as well as a host of JG goodies. The JG Academy will get together 2 to 3 times per year to learn from James, in and out of the pool. The successful applicants will be expected to exhibit James’ core values whilst a member of the academy. Applications will need to be received before Friday 31st August 2018, and the lucky winners will be selected by James and the JG Academy committee. You can apply here, and please send any questions to Ross@FINISinc.com. Winners can expect to hear by 30th September 2018.